I write a lot about social media, digital strategy & emerging technology. One of my favorite past times is console gaming via my Xbox 360. With the recent release of Halo Reach and personally surpassing 100,000 gamerscore on Xbox Live, I wanted to write about how digital marketers can leverage the largest social network on TV to further enhance digital engagement. With over 23 million users and an average of 4 million engaged daily Xbox Live is an incredible platform to execute digital strategies and tactics. 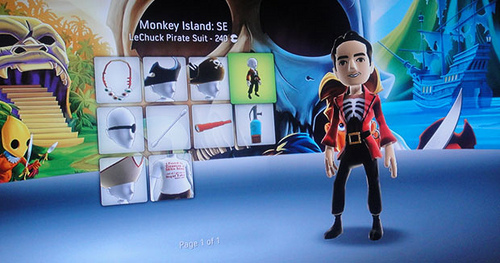 From branded avatar collections, product tie-in’s, promotions and sponsorships there are many opportunities for brands to leverage the sticky experience that Xbox Live provides. This also goes beyond typical in-game advertising. Having a truly engaged, socially connected fanbase that also associates closely with brands is a key factor when evaluating the platform. This is one of the only times I apply my personal insight into a platform. 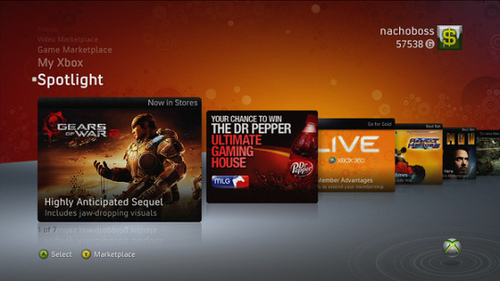 When I am on Xbox Live I pay attention to brand promotions here moreso than any other medium. The reason being is that upon start up of the console I am presented with compelling content blocks that I choose how I interact. I have found that I enter most if not all of the branded sweepstakes and I pay attention to when new branded avatar items are presented. And with more traffic than ESPN.com this is an ideal way to drive brand engagement. Being a fan of the platform and a daily user, You don’t get to 100,000 gamerscore by not engaging almost daily, I have experienced the benefits and opportunities first hand. So the next time you are looking for an ideal channel beyond traditional media and digital outlets don’t forget about the largest social network on TV. If you are a brand manager interested in leveraging Xbox Live please contact me as I have a long standing relationship with various Xbox Live teams.